China still loves Thailand, CNY brings Chiang Mai 900M THB. Thailand has been proven to still be the No.1 vacation destination for Chinese tourists in 2019. This year Chinese New Years that takes place from the 4th to the 6th of February is estimated to bring over 900M THB of income to Chiang Mai over the period of 3 days. Chinese New Year in Chiang Mai this year is brighter as any year with over 100,000 tourists coming for celebrating in the Northern city of Thailand. Chinese tourist are seen in every corner of Chiang Mai, especially the famous attractions of the city that is lined with tourists waiting to go in. 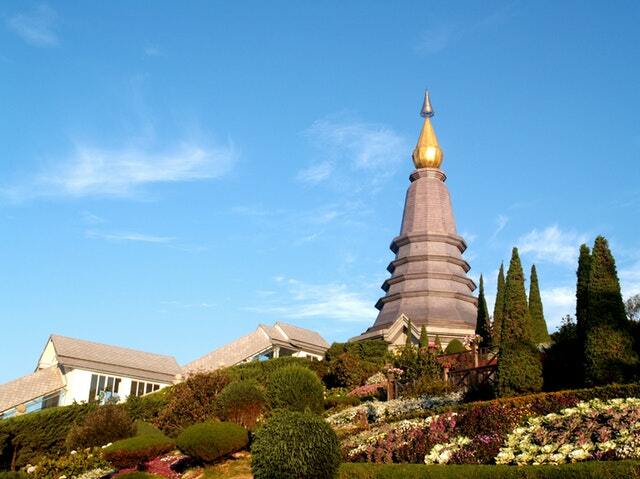 One of these destinations is the Tha Phae Gate, an attraction that is often viewed as the landmark of Chiang Mai. Visitors coming to Tha Phae Gate in this period of time are recommended to come earlier than planned as you will have to wait in a queue to take pictures with the signature brick gate. 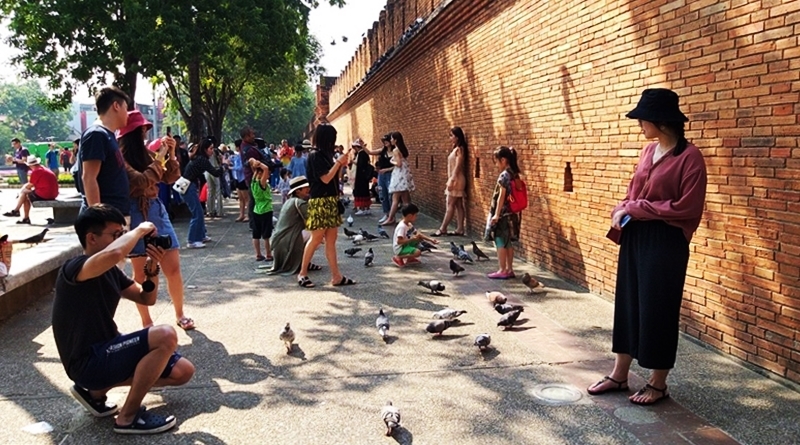 Many tourists are participating in the pigeon feeding activity. 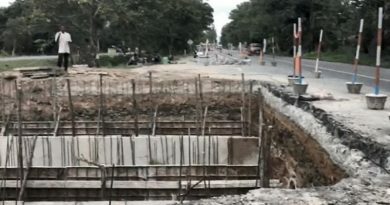 This is where tourists will buy food for the pigeons that will fly in for a bite to eat. The pigeons make wonderful photo props and are the main reason why many choose to feed them even though it has been prohibited by the Chiang Mai Municipality Office. The main reason is that the pigeons can bring diseases along with deciding to live permanently in the feeding area. 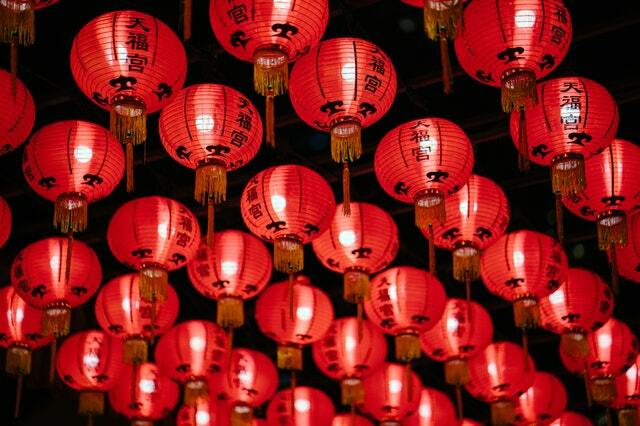 Paknun Vinijchai the director of the Chiang Mai office of Tourist Authority of Thailand has reported that this Chinese New year is expected to bring over 100,000 tourists to Chiang Mai from 4 – 6 February. Out of the 100,000 tourists, 60% are Chinese tourists coming in for CNY. 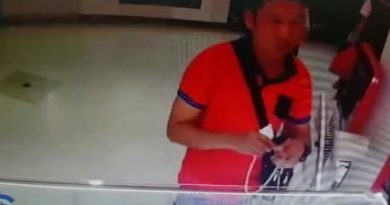 On the 5th of February 80% of the hotels in Chiang Mai has already been checked-into by the tourists. It is estimated that over 900 million THB will be entering Chiang Mai in the 3 days of the 2019 Chinese New Year. FB Caption: 60% of tourists coming into Chiang Mai this Chinese New Years are from China. ← Millions worth of unregistered cosmetics seized in Nong Khai.